Claremont Chamber to be an important and rewarding investment for my business. Claremont Sunrise Rotary is a service organization with heart, personality and a membership that can't be compared to any other! I have been a Rotarian for 11 years when three years ago I began to attend the many Claremont Chamber events that benefit both local businesses and non-profit organizations. 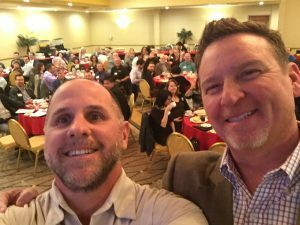 The Claremont Chamber Networking Breakfasts are the best! Where else can you network with about 100 people each month for only $20? As Claremont Sunrise Rotary is one of the many wonderful non-profit organizations in Claremont, we are always looking to partner with others to better our cause while supporting the community. The Claremont Chamber is a proven partner to Claremont Sunrise Rotary. I appreciate the hard work of the Chamber Staff and the Chamber's Board of Directors who continue to dedicate their efforts to bringing the Chamber and its Members continued growth and success. networking with Chamber members. We have created many professional and personal relationships with the people we have met and done business with. The Chamber has guided Shamrock in directions that have taken us to areas that we would never have been otherwise able to access. Our membership has opened many doors. The Chamber events allow for members to create business while attending. The staff is always thinking of the members which shows at each event's turnout. The Claremont Chamber works well with the civic and private communities, which in turn benefits local businesses. The city of Claremont is a spectacular place and the Claremont Chamber reflects the city. When I first decided to open my VOM FASS business in Claremont, I never questioned whether I should become a chamber member or not. 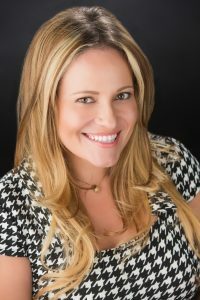 After my first year of being in business and the time came to renew my membership, I took time to evaluate the value of being a member of the Chamber. As I reflected on my time as a Chamber member, I realized that most of the people that are around me (both in and out of my shop) are Chamber members. I have a new plumber, a new car mechanic and many other options if I choose to sell my home or need financial advice. Most importantly the Chamber has given me opportunities to introduce my business to many people that would have never known about us. Village Venture, Beer Walk and Wine Walk have all been a huge success for us. I will sign up again when this year’s renewal comes around and I will continue to support my new community in any way I can. You get what you give, I always say!